John Haworth recently retired after many years as the Senior Executive for the National Museum of the American Indian in New York City. Under his leadership since 1995, the NMAI-NY opened the major exhibition Infinity of Nations: Art and History in the Collections of the National Museum of the American Indian in 2010 and the Diker Pavilion for Native Arts and Cultures in 2006 – which significantly expanded its space for public programs and exhibitions. 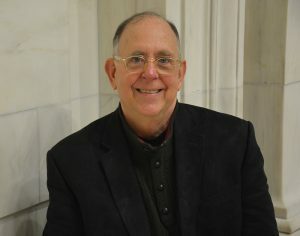 Mr. Haworth has been a featured speaker at national and international conferences, including having given the keynote address at the 2016 Museum Association of New York conference, and for the Native American & Indigenous Studies Association, Alliance of American Museums, City University of New York, RMIT University (Melbourne, Australia) and UNESCO (Paris), among others. In 2014, he wrote essays for two major exhibition publications: For a Love of His People: The Photography of Horace Poolaw and Robert Davidson: Abstract Impulse. Mr. Haworth serves on NMAI’s Exhibitions Assessment Group and the Editorial Committee of American Indian – an NMAI magazine in which he has authored several feature articles. For his efforts, Mr. Haworth has been honored by the American Indian Community House in NY, the Thunderbird American Indian Dancers, and the Association on American Indian Affairs. He serves on the Native Arts and Cultures Foundation’s National Leadership Council and the American for the Arts and CERF+ boards, and has, in the past, held the Chair of the Museum Association of New York. He taught for 14 years as an Adjunct Professor at New York University, led museum management workshops in Puerto Rico (for Smithsonian Affiliates) and in Russia (CEC ArtsLink), and was selected for Smithsonian’s Voices of Discovery in Portland, Oregon. He is a member of the Cherokee Nation of Oklahoma. AIPR is one of the most remarkable and important organizations working in response to atrocity prevention at the international level. Through my work at the National Museum of the American Indian in New York, I have seen the value of the Auschwitz Institute at close range. This fine organization has implemented important, timely, and inspiring workshops for public school teachers, museum educators and cultural organizations in lower Manhattan. AIPR has provided the participants with the kind of information that helps us serve our students and museum visitors more effectively in response to these complex issues. On a personal level, working with AIPR has given me such a far richer and deeper understanding of some of the most urgent issues of the 21st Century.